F1 Australia GP: The curtain opens Bottas, Ferrari is in shock! 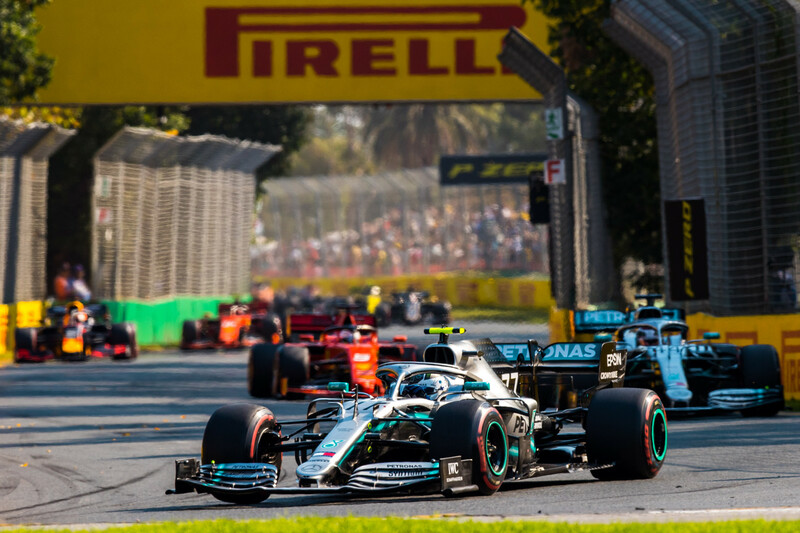 In Formula 1, the 2019 season officially started with the race at the Albert Park track in Australia. Mercedes pilot Valtteri Bottas won the Ferrari race outside the podium details of the race! The Australian GP has started with Mercedes! Fin pilot, who started second in the 58 lap race, managed to hunt down his teammate Lewis Hamilton in the start. Bottas, which holds the difference with a certain level during the race, won its first title since the 2017 Abu Dhabi GP. In addition, this season, the fastest turn-off point was entered into the Valtteri Bottas'in. Mercedes Hamilton's world champion pilot Lewis Hamilton, the leader of the race began at the start of the team started to pass. In the final section, the British were able to cross the finish line and were forced into the second place. Red Bull's Dutch pilot Max Verstappen filled the last step of the podium. Young pilot started the race in fourth place, passing Sebastian Vettel rose to third place in the middle of the race. Verstappen lost time by making mistakes and forcing the race Hamilton towards the end of the third completed. In addition, the team's new engine supplier Honda's turbo drew attention to the hybrid motor to win the first podium of age. Leaders completed their pre-season testing held in Spain Ferrari is literally lived the nightmare. In the third place, Sebastian Vettel finished fourth in the Australian GP. The first race with the Italian team, Charles Leclerc while teammate in the last part of the force, but the decision of the team finish fifth passed. The best left behind was Haas pilot Romain Grosjean, followed by Renault driver Nico Hülkenberg In his first race with Alfa Romeo, Kimi Raikkonen scored eight, and Lance Stroll of Racing Point finished ninth in the race. The final score of the day was won by Toro Rosso pilot Daniil Kvyat who returned after 1.5 season. The second race of the season, Bahrain GP will take place on March 31st .